What Does An Assistant Manager (Tire Store) Do? An assistant manager of a tire store assists with every aspect of the tire store business including working the front desk and dealing with customers and employees. How Do I Become An Assistant Manager (Tire Store)? Completing a two-year college program in automotive technology or a related field will increase the chances that an applicant will be hired. What is the Average Salary For An Assistant Manager (Tire Store)? These are salaries for an Automotive Service Manager (a similar position). An assistant manager will likely start at a much lower salary. What Courses Should I Take To Become An Assistant Manager (Tire Store)? What Is The Work Environment For An Assistant Manager (Tire Store)? 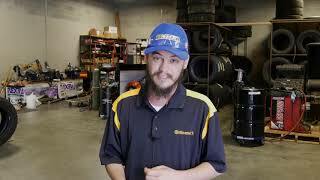 This video deals specifically with an assistant manager in a tire store, which is likely similar to other automotive service organizations. What Is The Future Outlook For An Assistant Manager (Tire Store)? What Degree Should I Consider If I Want To Be An Assistant Manager (Tire Store)?